Eyeliners have always been one of the most important parts of the makeup kit of every girl. They help you beautify your eyes by giving them a more intense and impressive look. Though Indian markets offer a wide range of choice as far as good eyeliners are concerned but it is essential that you select the best brand out of the range. This article unfolds the most popular eyeliner brands in India which offer amazing quality and choice to make your eyes look more glamorous and stylish. These brands keep in mind how important your eyes are and hence offer eyeliners for sensitive eyes so that you don’t need to bother about them. 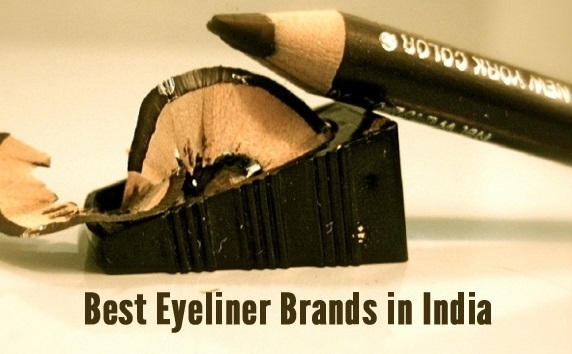 Read on and find out what these various brands are…..
Colorbar eyeliners have win hearts in Indian market. There is hardly any girl who has not tried this wonderful brand for adding that finish and intense look to her eyes. The brand offer Colorbar I-glide eyeliner which is popular for its amazing pigmentation and power to stay long without even smudging. It comes in a wide range of colors to help you choose like silver, gold, teal, green and blue. All you need is a single easy smooth swipe and the creamy texture of this amazing product will give your eyes a fine finish. This is surely one of the most popular brands in India for eyeliners. Lakme is one of the best makeup brands in India which has been the favorite of many girls in the country. It also offers a wide range of eyeliners that range from liquid eyeliners to pencil ones. You can pick them as per your convenience to apply. They come in different colors which gives you the comfort of making interesting choices. There is a Lakme Absolute range which is wonder. It stays long and comes with a waterproof finish. Another range offered by this popular brand in the 9 to 5 range which is a perfect office wear eyeliner which stays for 5-6 hours without smudging. Over the last few years, Maybelline has created a strong presence in India. One of the most famous eyeliners from the company is Maybelline Drama Gel Eyeliner. It is quite affordable and comes with a wonderful staying power. No smudging and clean finish is what you will get. One packing easily lasts for 5 to 6 months easily. The company also offers pencil liners which are equally good. Avon is another very popular brand in India for eyeliners. One of the hottest selling eyeliners from the company is Avon Glimmer Stick Eyeliner. This is a waterproof range which is available at quite reasonable prices. It is smudge proof and stays easily for 6-7 hours. It comes in a smart retractable pencil which is very easy to apply. In liquid liners, Avon Simply Pretty Waterproof Liquid Eyeliner is an amazing choice. It comes with a promise to stay long and is very affordable. Revlon is a well known brand in India for makeup products. It also offers a wide range of eyeliners which are too good for sensitive eyes. Some of the most popular offerings by the brand include Revlon Color Stay Liquid Liner, Revlon Color Stay One-stroke Defining Eyeliner and Revlon Luxurious Color Kohl Eyeliner etc. This range comes with impressive staying power. There are so many colors to choose from so that you can wear a new look every day. For 5 to 6 hours there is no smudging and you pay quite a reasonable price for these beautiful products. L’Oreal Paris is a favorite of many makeup lover girls in India. L’Oreal Paris Contour Kohl comes in amazingly beautiful shades giving the buyers a big room to choose and beautify their eyes. It comes with impressive staying power which is almost 6 hours. Even if you have an oily skin, you can relax as there will be no smudging. This pencil eyeliner is surely a wonderful wear. The brand also offers gel eyeliners for those who desire an intense and glamorous finish for their eyes. Faces is another very popular brand in India for eyeliners. It offers Long Wear Eye Pencils that are very convenient to apply and create beautiful appeal for your eyes. They come with long lasting power and are surely a must have in your make up kit for the quality and effect they promise. The brand also offers liquid eyeliners and if you are looking for one then Faces Ultime Pro Shine On Eyeliner is a wonderful pick. It comes in a wide spectrum of colors. It is a waterproof and smudge proof range which stays for longer hours. What makes it more attractive is the low price. Another very popular and elite makeup brand in India is Chambor. It promises the best quality eyeliners for sensitive eyes. Chambor Stay On Waterproof Eye Pencil is one of the most affordable and wonderful eyeliner from the brand. This easy to blend, smooth to apply waterproof, smudge proof pencil is known to stay long on your eye lids. Chambor Dazzle Transferproof Smooth Eye Pencil is another range which is dermitologically and ophthalmologically tested and safe for sensitive eyes. It is one of the best choices for makeup lovers.